Business is akin to a nationally-televised prize fight. Without such data, benchmarking risks inaccuracy and campaigns fall prey to imprecise measurement. Moreover, differentiation among your nemeses is an arduous task, traffic and conversions are largely relegated to chance, and substantial revenue is left on the table. Understanding share of voice is essential. This metric covers levels of market awareness to unique audience sets; efficacies of specific earned, owned and paid mediums; and a holistic view of the competitive landscape across key revenue channels. It’s more critical than ever to establish automated tools measuring share of voice. After all, by 2020, the digital universe is forecast to grow by a factor of 300, from 130 to 40,000 exabytes. Combing through data to SWOT analyze best ways to pinpoint previously hidden opportunities, and align, refine and optimize strategies for messaging, content, campaigns and assets. Finally there’s information about how your brand stacks up during stages of the buying cycle. 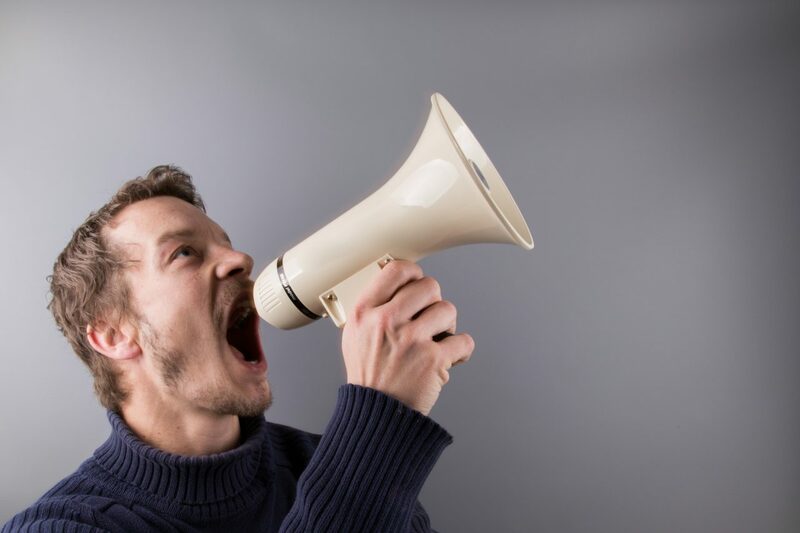 Share of voice shows where and how competitors are winning, validates return on digital and traditional marketing spend, and what CMOs should do to adjust plans and tactics. Such statistical significance also prompts the C-Suite’s product development strategy. At a systematic minimum, there should be monthly share of voice reports. Customer preferences can fluctuate on a dime. Constant dashboard reviews allow for identifying gaps and imminent tweaks if not wholesale shifts in marketing and at-large business approaches for better outcomes. Studies show perpetual correlations between overall share of voice and market share growth. This metric is often forgotten, rendering the prize fight over before it begins. WE ARE GOLF and the LPGA Women’s Network are rallying off a record high 28% female golfer participation rate. Their call-to-action campaign, #inviteHER, recently launched with a bang. Its psychological premise is brilliant. Invitational marketing is all the rage and for good reason. People want to feel wanted and being on a proverbial guest list accomplishes this. In the context of golf, every woman deserves to feel that no matter where she goes, she belongs. Unfortunately, not enough are comfortable on the course. #inviteHER helps bridge this gap, breaking intimidating barriers of entry by encouraging golfers to invite the women in their lives to join them over as many holes as desired. Save wedding crashers, no one attends a party they’re not invited to. By serving as a welcoming and inspiring guide and support system, #inviteHER helps more women enjoy positive first experiences with golf. In turn, the empowerment exposes them to the game’s amazing benefits – i.e. expanding horizons personally, professionally and socially. As budgets rise, so do expectations of companies and what their agencies of record and team members should provide. 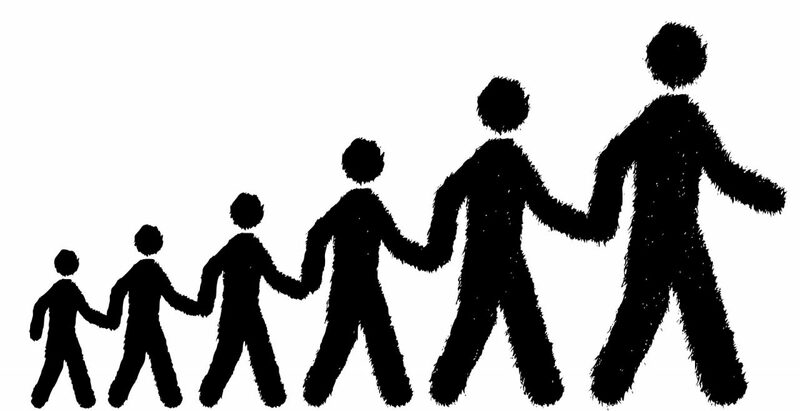 Is it advantageous for firms to draw the line and specialize in PR or modernize and expand services for broader value? 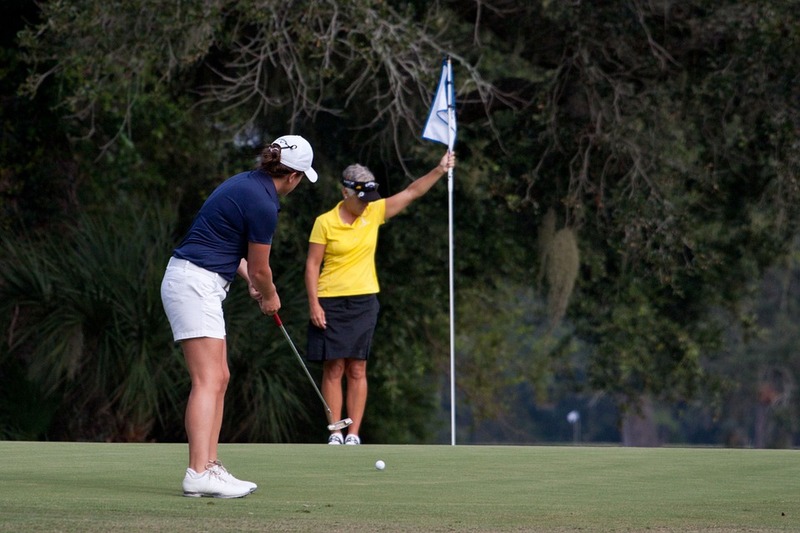 #inviteHER follows through on its promise with group instruction, education and supplementary resources to make women more relaxed in their surroundings, play better and enjoy golf for a lifetime. PGA and LPGA club professionals, and golf course management companies, are already heavily promoting #inviteHER in conjunction with “beginner” programs like Get Golf Ready and LPGA*USGA Girl’s Golf. There are thousands of other female-friendly player-development programs coast to coast introducing the game to this latent demand set. Buffalo has been selected to manage public relations and social media for this important industry initiative. 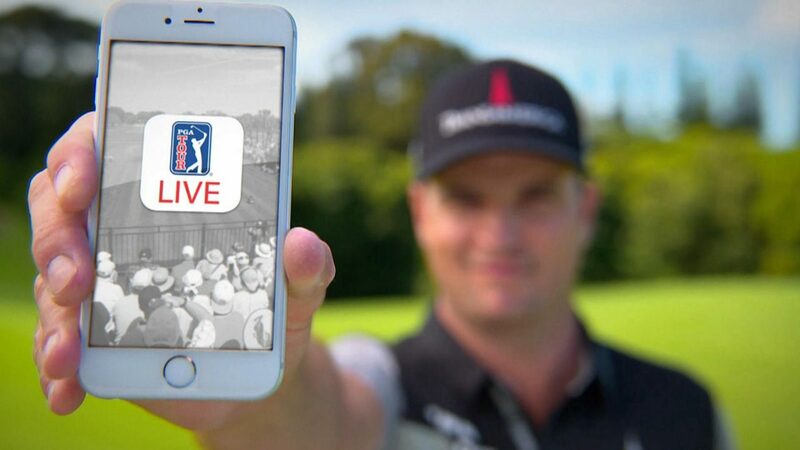 Will Amazon, Facebook, Google, Hulu or YouTube dominate golf? We can’t see The Masters moving from CBS any time soon. But with live sports viewership on mobile devices (and smart TVs) significantly increasing, sports media pundits debate whether fees traditionally awarded to network TV will be a thing of the past. Aggressive interest from Amazon, Facebook, Google, Hulu and YouTube is driving up rights fees. Netflix, for now, indicates its strategy doesn’t include live sports. In Amazon’s case, the strategy is to bring more casual and avid fans into its ecosystem, engaging Prime members with dynamic ads specific to logged-in viewers’ shopping histories and preferences during live sports events. This type of detailed data profiling is dangerous to network TV that’s long been maligned for shortfalls in audience analytics. Will sports properties take gobs of money from these bidders or maintain broadcast audiences? Will rights awards be exclusive to new media or parceled to one for streaming / digital and one for traditional TV? In the context of golf, what’s NBC-owned Golf Channel without live PGA TOUR programming? What if Facebook’s eight hours of live weekend tournament coverage meteorically catapults to exclusive status over the entire schedule? The TOUR holds the cards and if its recent $2 billion global partnership with Discovery Networks is any indication, a traditional sport partnering with a traditional medium is hardly a dead concept. At 17 years, ECCO is Buffalo’s longest standing client. We were there when one of the first series of golf shoes rolled off the production line. Budget was essentially nil. Notwithstanding, perseverance plus a blend of thinking big and acting scrappily prevailed. Then it dawned on us. With traction due primarily due to Buffalo managing marketing and public relations for fledgling ECCO Golf, we surveyed the PGA TOUR landscape. At the time, there were four players with the ability to sell tons of product they promoted. Greg Norman had a full commercial slate, John Daly defined behavior risk and Tiger Woods was exclusive to Nike. His debonair, easygoing ways made him an ideal endorsement fit for ECCO’s simple, clean-lines profile. The Masters champion and World Golf Hall of Fame member’s good looks and keen style sense aligned well with the Danish footwear label. Furthermore, Couples enjoys worldwide recognition among golfers and golf fans that over the years was regarded as second only to Woods. He also regularly competed in professional and made-for-TV events in Europe, Australia and Asia, aligning well with ECCO’s global presence. A key moment in the evolution of the ECCO golf brand came in 2010. Couples won several early-season Champions TOUR events in ECCO’s new Golf Street, a sneaker-inspired golf shoe. The style was coined “hybrid” as it featured small traction bars rather than cleats for wear on or off the course. Weeks later at The Masters, Couples led the first two rounds and as he sauntered around Augusta National in the shoes. Moreover, he was sans socks in his own effortlessly stylish way. Media began to take note and “Fred Couples golf shoes” rose to No. 4 among all Google searches. CNBC reported Golf Street had become “part of sports marketing lore” and Golf Digest named it one of the top-10 stories in the entire golf industry. The first run of Golf Street sold out almost instantly and a golf footwear revolution was ignited. In collaboration with Buffalo, ECCO leveraged Couples’ endorsement to the hilt, appearing in photo shoots, TV spots, social media campaigns, catalogs, editorial features and at customer events. 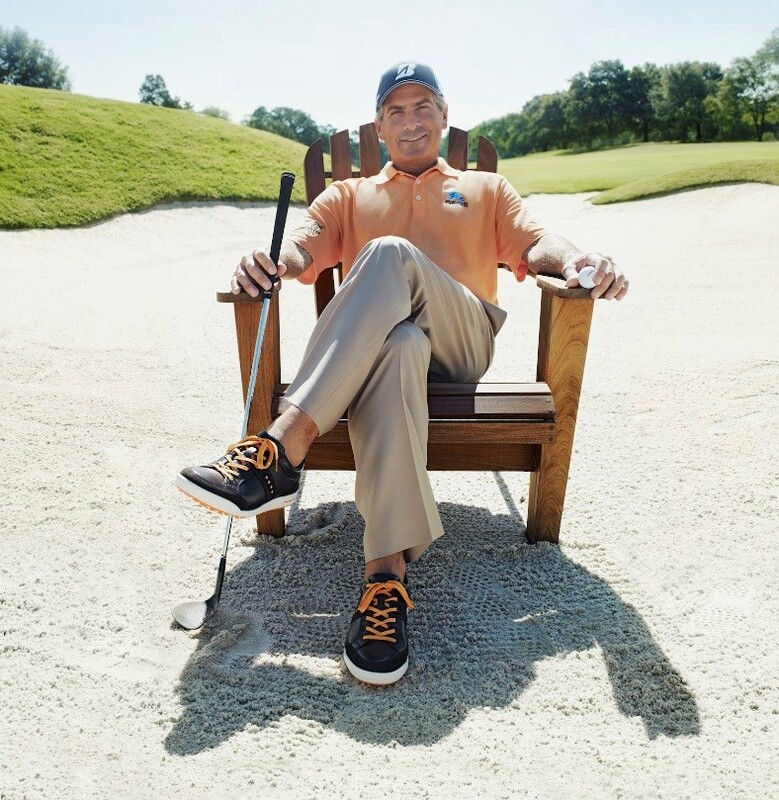 A limited-edition ECCO Fred Couples signature golf shoe sold out within hours of launch and garnered significant attention among golfers, retailers, media and golf-industry leaders. Now ECCO is among the top selling golf shoe brands and No. 1 in the luxury range worldwide. Couples and ECCO will forever go hand-in-hand marking one of the most recognizable partnerships in golf history, one that ushered in the hybrid shoe phenomenon and re-defined an entire category. This column was authored by Buffalo VP Glenn Gray for the Forbes Communications Council. It received more than 100,000 views. The focus areas of traditional public relations agencies are changing. Small, mid-size and large firms represent clients whose communication wants and needs are progressing as business and consumer habits evolve. A 2017 USC Annenberg Global Communications study shows 87% of professionals believe the term “public relations” will not describe the work they do in five years. Additionally, 60% of marketing executives note PR and marketing will become dramatically more aligned in the near future. LinkedIn lists more than 12,000 PR companies in its U.S. database. IBISWorld estimates nearly 100,000 people are employed in this field that generates $13 billion in annual revenue. With more than 22,000 members, the Public Relations Society of America aims to advance the profession through education and awareness. In today’s environment, how many PR agencies solely offer this single service? There are about 120,000 marketing firms in the U.S. and 500,000 worldwide which includes ad agencies, design studios and research companies. At first glance, could it be true that only about 10% of U.S. agencies focus exclusively on PR? For those of us in the industry, this may be shocking, but the statistic reveals where smart PR firms are headed. Disciplines in PR are wide-ranging: content creation, corporate communications, events, executive coaching, internal communications, promotional asset production, media relations, multi-media, social media, reputation management and more. Job descriptions for PR professionals include technical abilities like strategic communications, research, writing and creativity, but also of importance are campaign development, social integration, keynote presentations and additional tasks. Gone are the days of writing and distributing news releases, then pitching media. While this process remains important and relevant, incorporating creative visuals and video in the delivery greatly increases success rates for placements. If the client doesn’t have these assets, it becomes imperative agencies develop them. Clients may also expect you to manage the back end of their websites by uploading news releases to blog sections, scheduling links for social and monitoring web analytics. To extend lifecycles of significant publicity, it may make sense to include it within paid social campaigns. Did you learn these skills in college journalism class? It is well documented there is a seismic shift in media consumption. This is causing audiences to become fragmented with the broadcast industry feeling considerable strain as layoffs continue. “Cord-cutting” is a trend to watch, but may be overstated – Deloitte notes in a recent survey that 74% of consumers continue to hold paid subscriptions. Regardless, this topic cannot be ignored as the growth rate of television is slowing. Whichever side of the fence you fall, media fragmentation is affecting the way PR firms think about servicing clients and obtaining impactful results. With fewer media members to pitch, PR professionals must elevate creativity about securing recognition for clients. Resources once spent on pitching a larger set of broadcast channels should be shifted to content marketing and social. Facebook boasts 2.23 billion active monthly users, followed by one billion on Instagram and 335 million on Twitter. Social media was once a novel idea and something to monitor. It’s now a required focus in the PR world. Even if PR associates are not active personally, awareness of what’s taking place on social media in real time is critical. Many reporters and other media influencers use Twitter as their primary channel; clever direct messages or tweets to these individuals could help develop relationships. Social channels also serve as a means to re-purpose publicity and blog content to drive users back to clients’ websites. Our Buffalo business began 17 years ago as a PR firm exclusive to golf. As the industry shifted and marketing advanced, so has our need and ability to meet client demands. Now a global full-service integrated marketing firm, we credit our success to broadening our offerings beyond PR to strategy, social media, creative, paid search, SEO, content creation and data analytics. Through strategic acquisitions and hiring specific areas of expertise, our once small shop has exploded from 25 to 55 functional experts in just over two years. Backgrounds in sports include journalism, ticket sales, campaign development, AdWords, Amazon marketing and more. The assemblage brings together a broad set of skills and passion areas. Smart infrastructure growth has opened doors to new segments – fitness, lifestyle, outdoor, soccer and other sports categories – and imprinted an even bigger stamp on our golf leadership. For brands in need of PR first and foremost, the decision power is in your hands. The lines between third-party and consumer journalism are blurred, so it’s prudent to review firms with strong focus on both media and adjacent, one-stop-shop marketing disciplines. PR will always be indispensable, but its impact is amplified when coupled with digital and social programs.